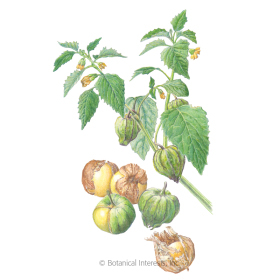 Dating back to the Aztecs and Mayans, tomatillos, also called "husk tomatoes", are related to tomatoes but offer a different, uniquely tangy, citrus flavor that is indispensable in Latin dishes. 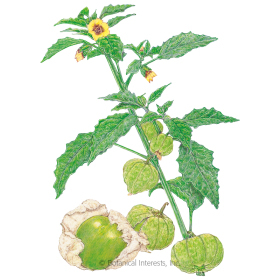 Tomatillos are sensitive to frost and grow best in the warm part of the growing season. For best pollination/production, be sure to grow at least two plants.